IBC mixers are ideal solutions for products that need to be agitated before use in order to obtain homogeneous consistency, particularly for liquids prone to phase separation. 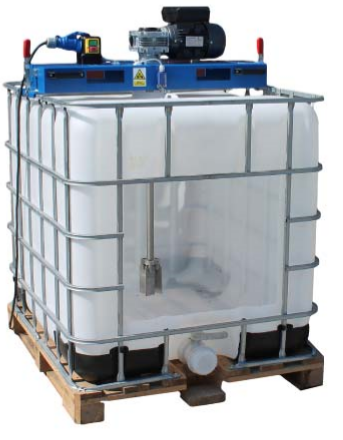 These mixers are designed for IBC containers with 1,000 litres nominal capacity and ≥Dn 150 filling openings. Used for agitating, homogenizing and dissolving. ATEX explosion – proof versions are available on request.